Get your best brows - liquid, powder or pencil with Bourjois, Avon or L'Oréal! Bourjois Drole de Sourcil Eyebrow Fixing Mascara - $20 - keep even stubborn eyebrows under control with a transparent gel formula that defines and fixes eyebrows in one step with a special eyebrow applicator that has soft, evenly spread out fibres to allow for even application and distribution of the formula. 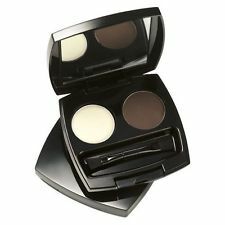 Avon Perfect Eyebrow Kit - $9.99 - in 4 shades: Blonde, Auburn, Soft Brown and Deep Brown - that offer a powder - to define and wax - to set duo for long-lasting, smudge-proof shape and hold. L'Oréal Superliner Brow Artist - $11.99 - in 3 shades: Blonde, Brunette and Dark Brunette - a 3-in-1 pencil that lets you draw and intensify with the coloured pencil on one end; shape with the soft brush tip on the cap to discipline your arch; and fix your brow look with the clear wax based formula on the other end. I'm really keen to try an eyebrow fixing mascara at the moment. Do you know if they sell the Bourjois one in the UK? I belive both Boots and Superdrug carry the Bourjois line! HTH!